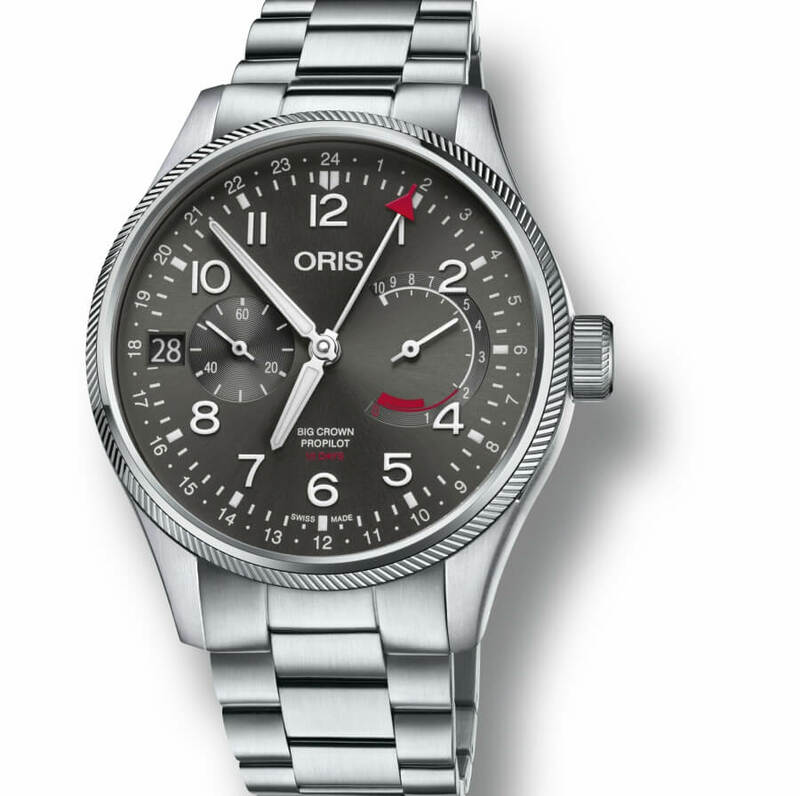 This year at Baselworld 2018 Oris presented the new Big Crown ProPilot Calibre 114, a pilot’s watch powered by Oris’s latest in-house developed calibre, Calibre 114. 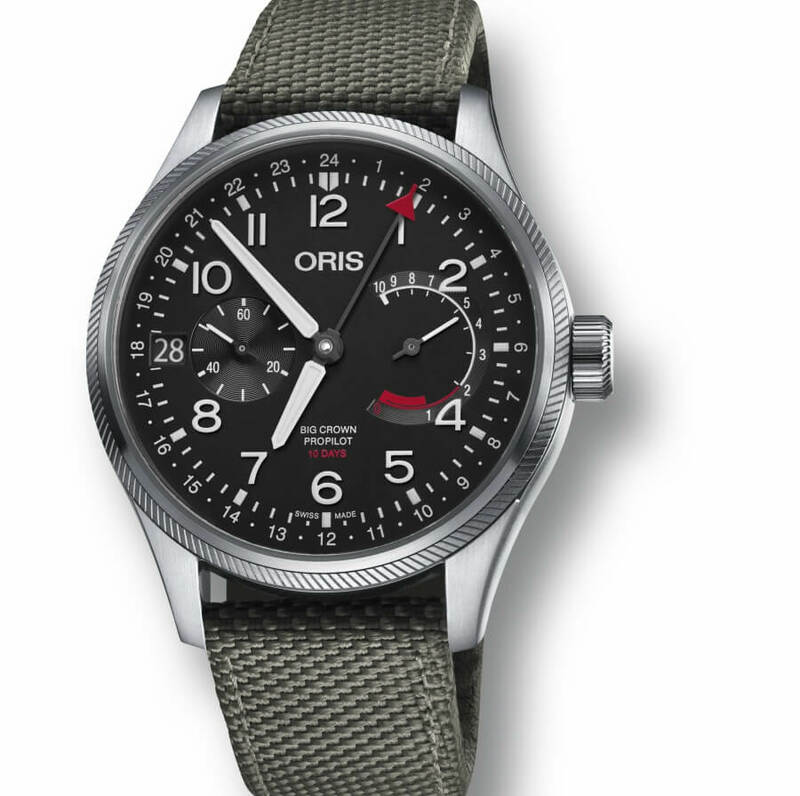 The new movement combines a 10-day power reserve, Oris’s patented non-linear power reserve indicator, a date indication and, for the first time, a 24-hour second time zone with half-hour indication. No other mechanical watch in Swiss watchmaking combines these functions in a single watch. Second time zones, or GMT functions, were first introduced for pilots during the early period of the jet age, the 1950s. Travelling long distances and across time zones, they struggled to adjust to longer or shorter days – hence ‘jet lag’. A watch that showed home and local time helped overcome the barrier, psychologically at least. Today, these watches are worn not just by pilots, but also by international businessmen and frequent travellers. 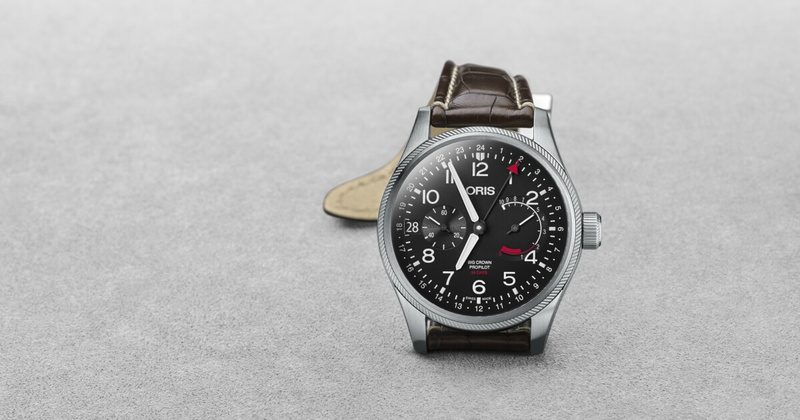 Oris has made dozens of high-functioning second time zone watches in its long history – but the Big Crown ProPilot Calibre 114 marks a new high point. Its 24-hour time zone, indicated by a central pointer hour hand, offers local time adjustment to the nearest half hour, useful if you’re travelling to or from countries such as India or Australia. 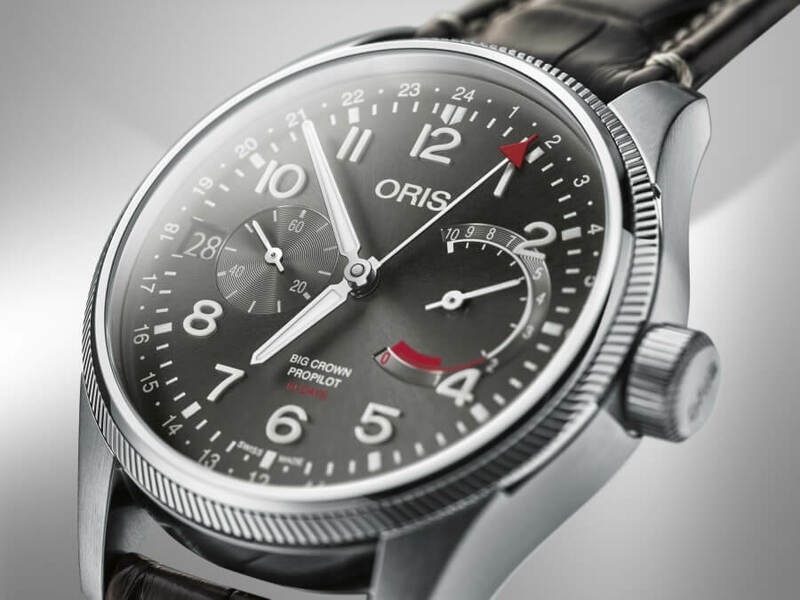 As well as sharing many of the design tropes of sister watches in Oris’s Big Crown ProPilot collection – chiefly the oversized crown and a bezel design inspired by jet engine blades – it also showcases the groundbreaking innovations of Oris’s growing in-house watchmaking programme. 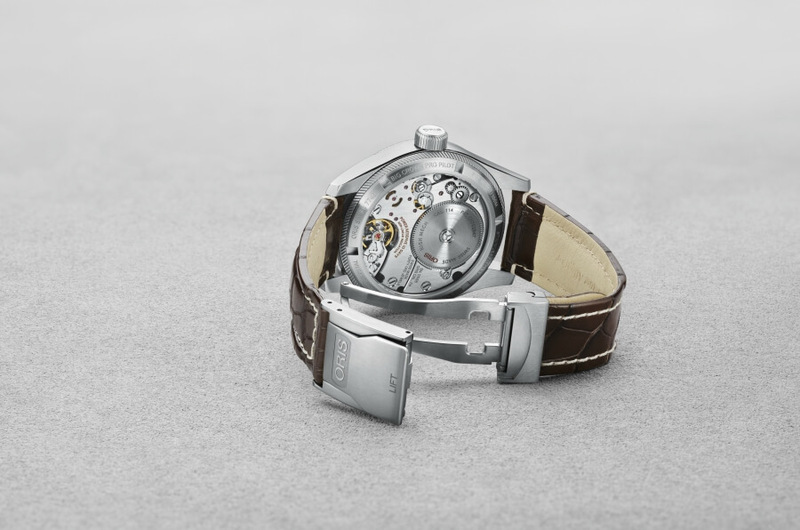 Calibre 114 is the fifth in-house developed movement released by Oris since 2014 and shares the same base architecture as Calibres 110 through 113. 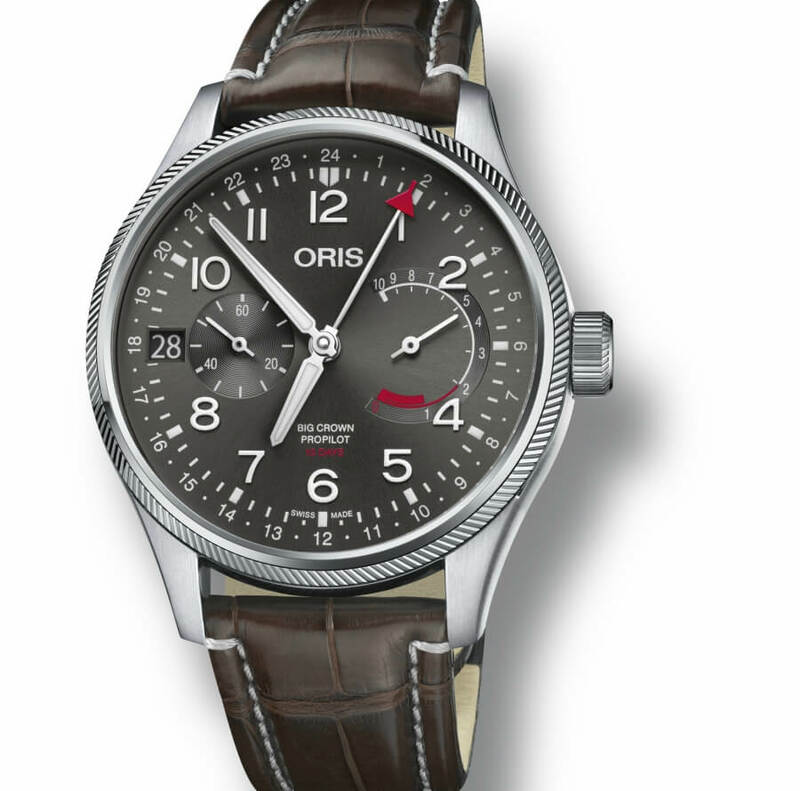 The 10-day power reserve is delivered by a single oversized barrel, while the inventive non-linear power reserve indicator (which shows the time remaining until the hand-wound movement needs rewinding with ever greater accuracy as the days pass), is managed by a bespoke worm gear designed exclusively for Oris’s movement suite. Besides these characteristics, the Big Crown ProPilot Calibre 114 features a robust stainless steel case and a bold, clearly legible dial. And it comes on a variety of dials, case finishing, straps and bracelets to suit tastes and occasion. 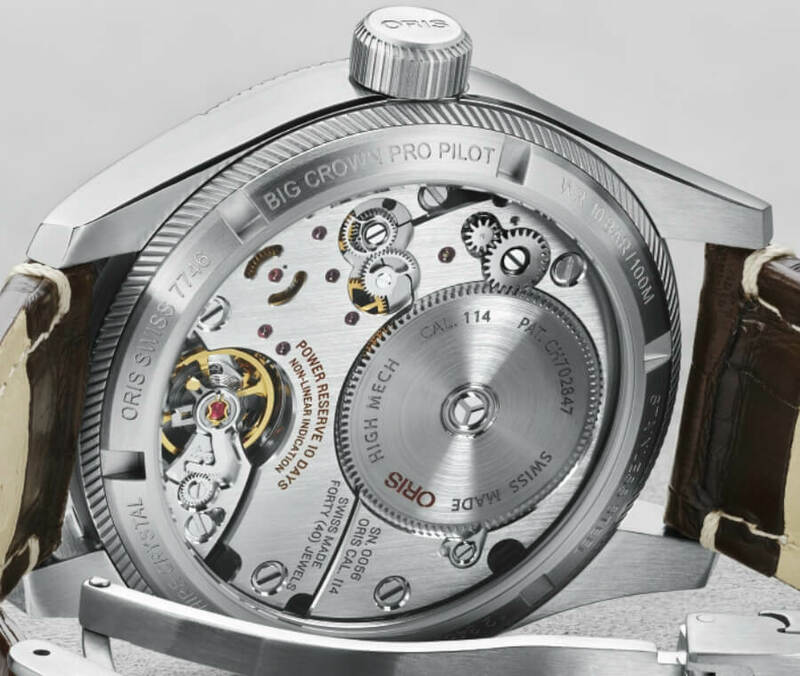 The Big Crown ProPilot Calibre 114 is another example of Oris’s authentic approach to watchmaking. The independent Swiss company continues to make watches that make sense in the real world, watches that are used and trusted by specialists and worn by discerning watch buyers. 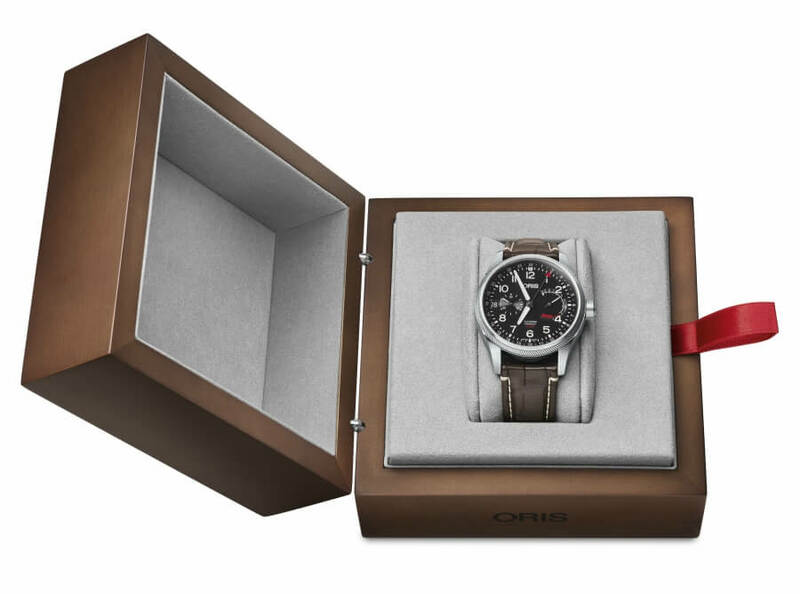 The price for the Oris Big Crown ProPilot Calibre 114 is CHF 5,500on a textile strap, CHF 5,700on stainless steel bracelet and CHF 5,800on leather strap.